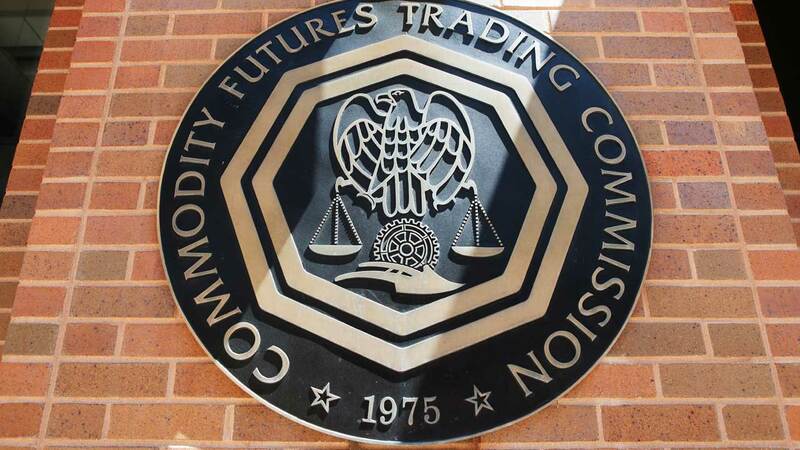 When Commodity Futures Trading Commission (CFTC) Chairman Chris Giancarlo previously appeared before a US Senate Committee to discuss virtual currencies, education (for his team and the public) was one of the major themes. This week, Giancarlo held two meetings where he was able to “flex his muscles” as both student and expert. The first panel focused on the underlying Blockchain (or Distributed Ledger) Technology. Jennifer Peve, Managing Director, Business Development and Fintech Strategy at The Depository Trust & Clearing Corporation (DTCC), made a point that “The development of common standards and protocols required is critical when implementing Distributed Ledger Technology (DLT).” This is a great point highlighted by how successful the ERC-20 token has been in standardizing ICOs/Token Sales. As these technologies evolve, standards will be critical at scale. Charley Cooper, Managing Director R3, a distributed database technology company, said that 2018 is “the year it’s about to get real” with “commercial deployments at scale.” His point was that we are at a critical time where we need both regulation to protect the industry, but not so much regulation that projects that are build become stifled. He thinks that the governments can work together with companies to accomplish both of their goals. Dan Busca, Deputy Director Subdivision of Market Oversight DMO, gave a real life metaphor using baseball as his reference point. He compared Blockchains to young players, who not only “carry potential, but also uncertainty… Patience can quickly run out as doubt overshadowed confidence, so welcome challenge” rather than act out of fear. The panel ended with a motion, approved by unanimous vote, to create a Subcommittee on Distributed Ledger Technology. The second panel focused on Virtual Currencies. Jerry Brito, Executive Director of Coin Center, explained how many digital currencies run on top of Ethereum (600+) or are working on improvements to Bitcoin code (including ZCash, Monero, and DASH). He takes issue with states regulating blockchain companies because “they have to get separate license in each state,” often based on laws “written decades ago and about transmission, not custody.” In other financial markets, transmission implies custody, but with Digital Currencies, the recipients must keep the coins safe themselves. He also made a point to say that he does not believe that all Digital Currencies are Securities. Gary DeWaal, Katten Muchin Roseman LLP, made strong points to agree with Mr. Brito’s statement about Securities. He points to the Howey Test, which has been used to determine whether or not a product is a Security, but notes that the word “substantial” is often overlooked when determining if the purchaser is expecting a gain on the investment. He says, “What if you were one of the first to buy a Tesla? Is that car a security because Elon Musk is going to market the cars and the 1st generation will go up in value?” This was a unique point that will likely be scrutinized further in determining if ICOs/Token Sales can be considered a Utility. Other points were made about 24/7 trading (though of a positive for liquidity), Digital Currency Forks (an item that needs further understanding), and electricity costs of mining (discussed that it only matters in Proof of Work Systems, not Proof of Stake). The panel ended with a motion, approved by unanimous vote, to create a Subcommittee on Virtual Currencies. Chairman Giancarlo spent the next day educating the US Senate Committee on Agriculture, Nutrition & Forestry. Much of the session focused on non-Blockchain Futures, like wheat, since this committee is concerned with all aspects of the farming and agriculture industry, but Blockchain was the first topic to be discussed. Giancarlo explaining his budget request of $281.5M for 2018. The committee understood the need for funds, but was not thrilled about some of that money coming from “user fees,” i.e. a tax on farmers who use Futures contracts to sell their crops. When asked how he can keep up with the changes in Blockchain Tech, Giancarlo replied that “learning, watching, understanding every step of the way” is what can be done now. He even moved the “surveillance branch (of the CFTC) into the enforcement branch” so that there would be no lag in communication between teams. It was interesting to watch Giancarlo switch gears and share some of the knowledge he had learned. It was also encouraging that he understands that traditional frameworks won’t necessarily work and he does not seem to want to bolt an old regulation where it doesn’t belong. These open forums that anyone can watch are going a long way in keeping US based fake news (or FUD) out of the Digital Currency markets.